Waddy tended to pull her subject matter from everyday objects, and in certain religions pomegranates represent fertility, fullness, and growth. Waddy was an artist, activist, and arts administrator who studied at Los Angeles City College and Otis Art Institute. Prior to focusing on art, she worked at the Los Angeles County Hospital with Noah Purifoy. In 1966, with encouragement from Charles White, the artist traveled with eight American delegates to the Soviet Union to represent herself and twenty other black artists from California. "Pomegranates." Now Dig This! Art in Black Los Angeles, 1960–1980 Digital Archive. 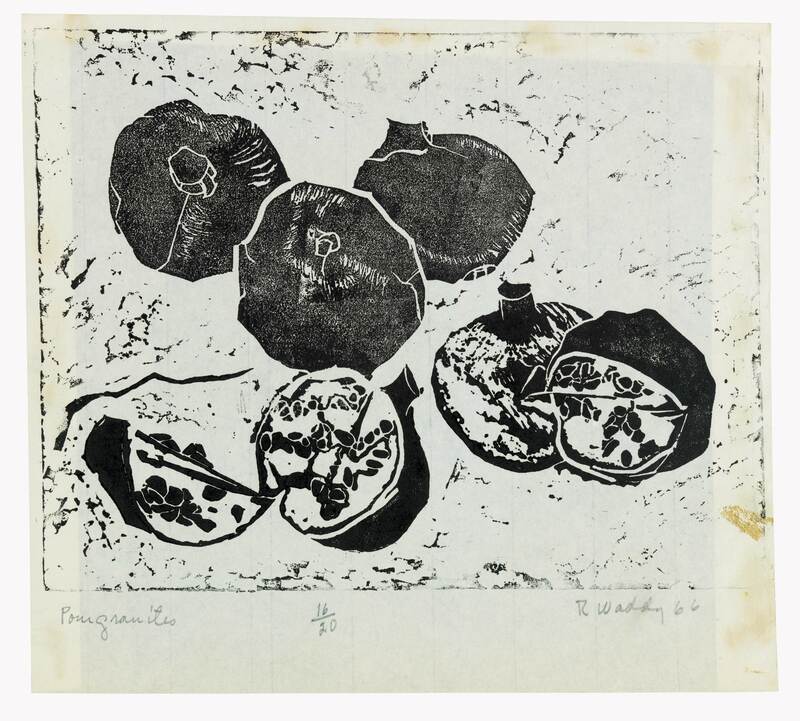 Los Angeles: Hammer Museum, 2016. https://hammer.ucla.edu/now-dig-this/art/pomegranates.